Above all, a Custom Home Builder should provide Luxurious design and meticulous detailing which is our first goal. A close second is building the strongest homes possible. We build with an unwavering determination to construct homes that will stand the test of time. Our construction practices go well beyond the county code requirements. We believe our homes are the strongest of any built in the area. Our quality is quantifiable and not empty promises. This is very important to our clients for many reasons. Homes built with minimum standards often fail through the years. 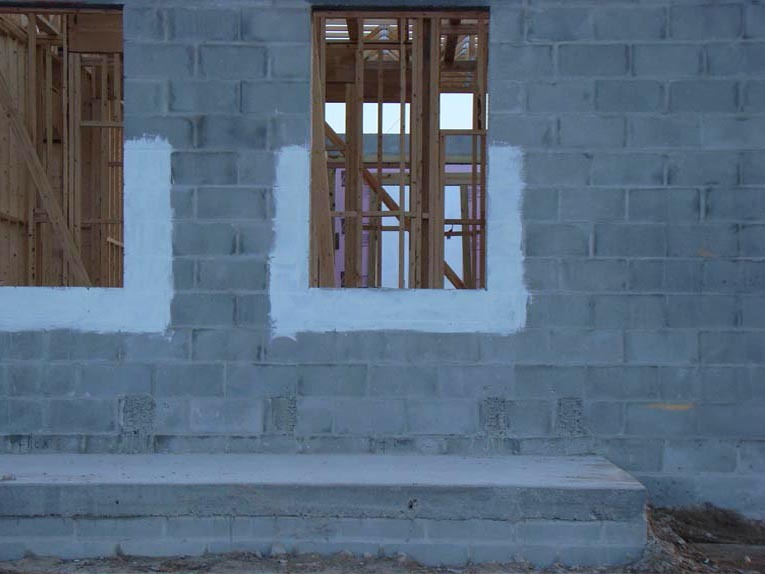 Cracked exterior block walls, cracked floor tile, water intrusion through cracked walls, settling foundations, stucco failures, and roof leaks can all stem from minimum construction standards and practices. A home that remains structurally sound will protect the largest investment you are likely to make and will help to guarantee its future value. Homes that are visibly failing won’t command top dollar on resale. In addition to our 10-Extra Steps, we also use our proprietary, 57-page construction manual for best custom home builder practices which we have developed through our many years of experience. A Southern & Traditional Home will have lower maintenance costs and will provide peace of mind at around the same cost as other builders. This is part of the great value in a Southern & Traditional Home. You have our commitment that we will ALWAYS maintain the highest quality standards. Listed below are just 10 of the many reasons to choose Southern and Traditional Homes. 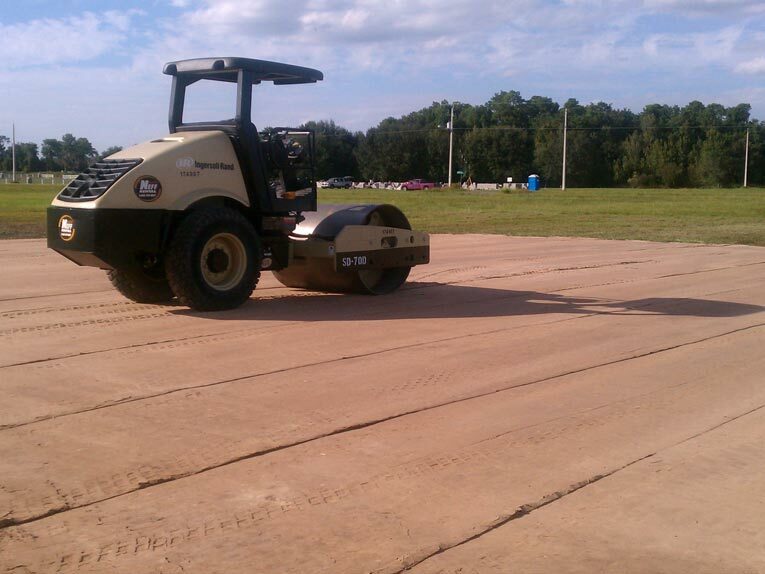 15-ton vibrating rollers are used to compact the virgin soil and first lift prior to placing the footer. This ensures maximum compaction for construction. Proper compaction is essential to the soundness of your home. This is commercial quality for a residential application. We are very serious about the quality of your new home. You can't underestimate the importance of this first step. Well begun is half done! Southern & Traditional homes uses two-story footers throughout your home. Including one-story homes, lanais, front porches and under your garage doors. 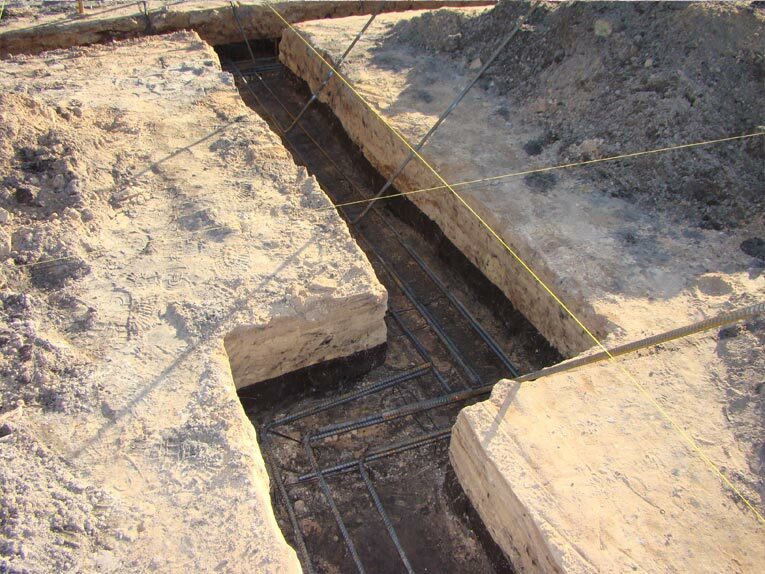 Our footers are 10" x 20" with 3 - #5 rebar and are poured with nothing less than 3000 psi concrete. Other builders call this overkill. We call it redundant process to insure minimal cracking now and in the future! Stem wall construction is the only foundation technique we will ever employ as a top quality, custom home builder. Monolithic slab construction is simply an inferior way to build homes. It is employed simply as a cost and time saving measure at the expense of the homeowner. Stem wall construction is stronger, more aesthetically pleasing by adding height to the home, and it enables proper drainage. Wire mesh concrete reinforcement is still used, at substantial cost, even after most builders have replaced it with far less expensive fiber mesh. 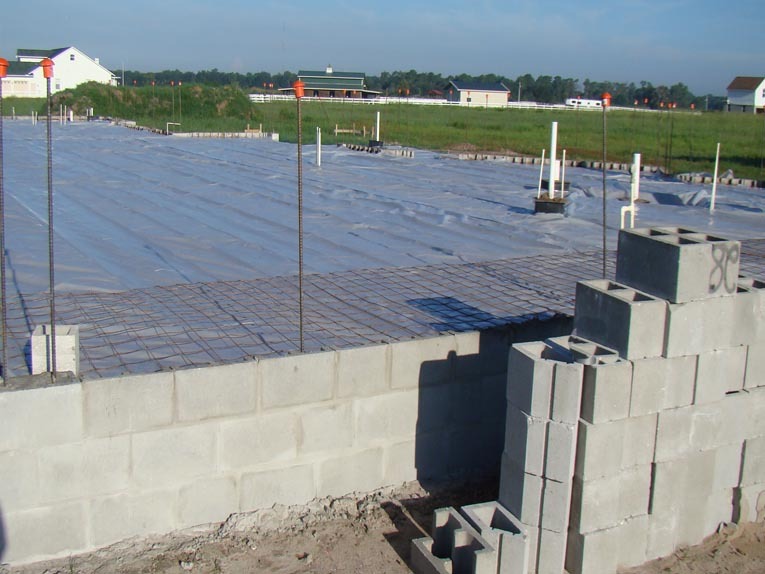 Fiber mesh is a cost saving measure which leaves the concrete unsupported after cracking. 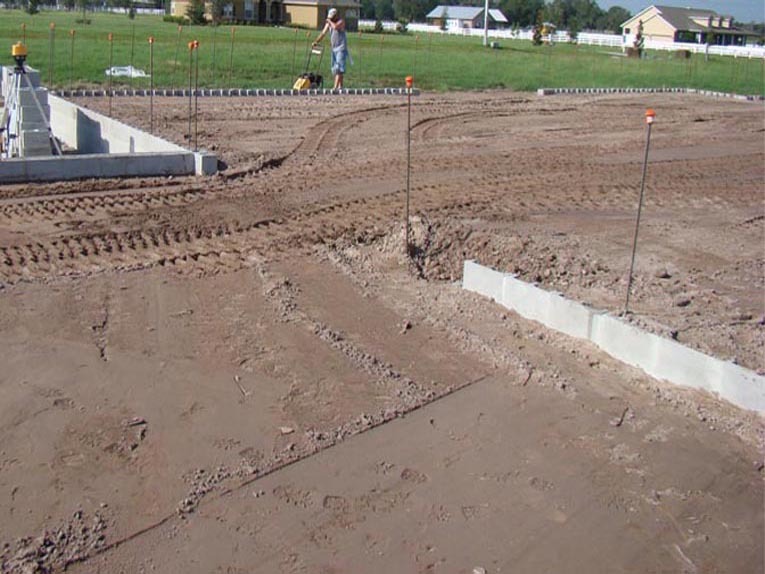 Concrete additives are used in place of water to aid in placement of concrete in hot weather. The less water in the concrete the fewer cracks. Horizontal steel reinforcement is placed between every other row of block to prevent stair step cracks in the block. This again is a commercial application for residential construction and not required by the county. 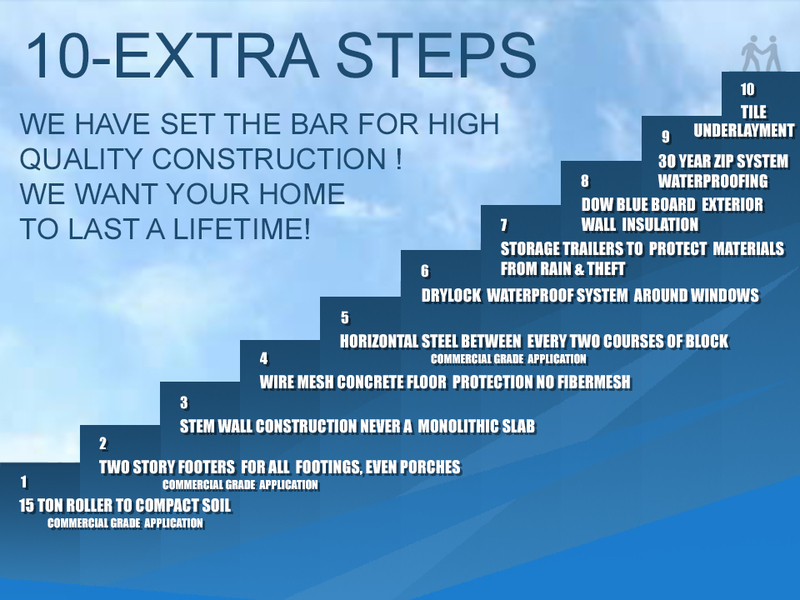 This step, combined with the previous steps, creates one of the strongest shell structures available in Hillsborough County. Drylock waterproof system is placed around the windows to prevent water from wicking in behind the drywall in the event of caulk or stucco cracks at the window sill guarding against water intrusion which in turn prevents mold. 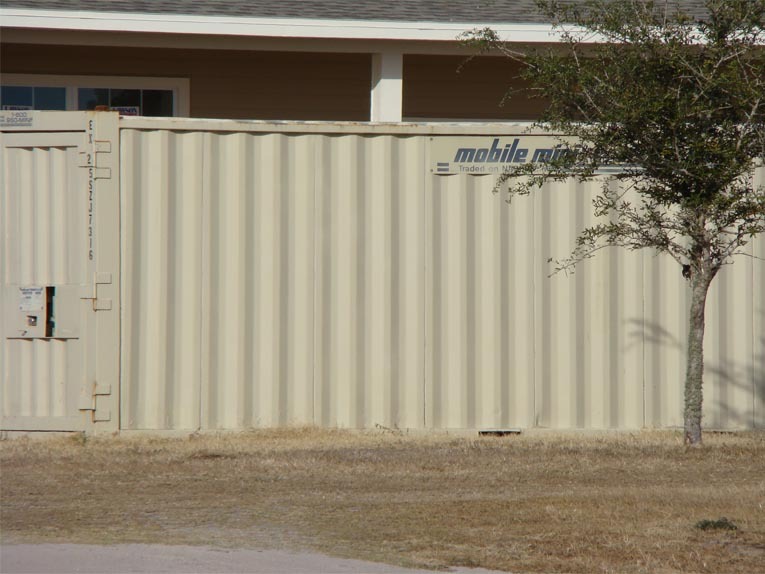 Storage units are placed on the property to protect materials from the elements and additionally they provide protection from theft. Southern & Traditional Custom Homes also provides electronic security to protect your home during construction. 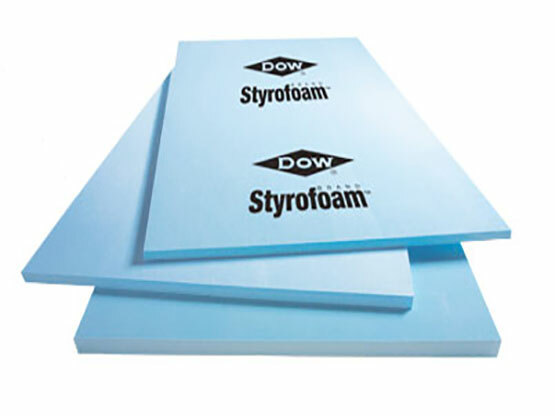 Dow Blue Board STYROFOAM™ Brand Scoreboard Extruded Polystyrene Foam Insulation is used in place of the minimum standard foil paper. The foam insulation protects much better and lasts long after the paper and foil have deteriorated. It also is an additional layer of protection against water intrusion, keeping moisture from the drywall. Huber's Zip Roofing System is used exclusively for our roof sheathing. The sheathing is guaranteed waterproof for 30 years and serves as a secondary layer of protection against water intrusion. Additionally, our roof sheathing isn't damaged by rains during the construction process. Ordinary sheathing becomes delaminated and swells after just one rain event. 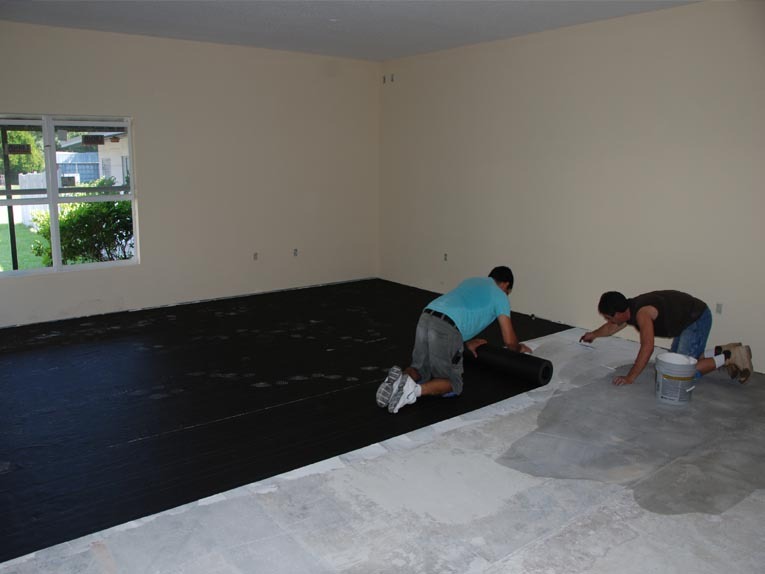 Tile underlayment is installed under all tile areas to prevent future cracks. We have never had a warranty call for cracked tiles! This floor is a remodeling project which required floating, covering an expansion joint, and new plumbing cuts in the floor. The underlayment on the right will prevent future tile cracks. Is everything you do when building a new custom home really necessary? It ensures your home will stand the test of time. What is the 57 page construction manual? It is a compiled list of important techniques and practices learned over the years and incorporated into everyday construction. Why do you use stem walls for the foundation and not a monolithic slabs like other builders? Stem walls allow us to get the height of the home 22"-26" above existing grade which allows plenty of room for proper drainage. It also helps with aesthetics. 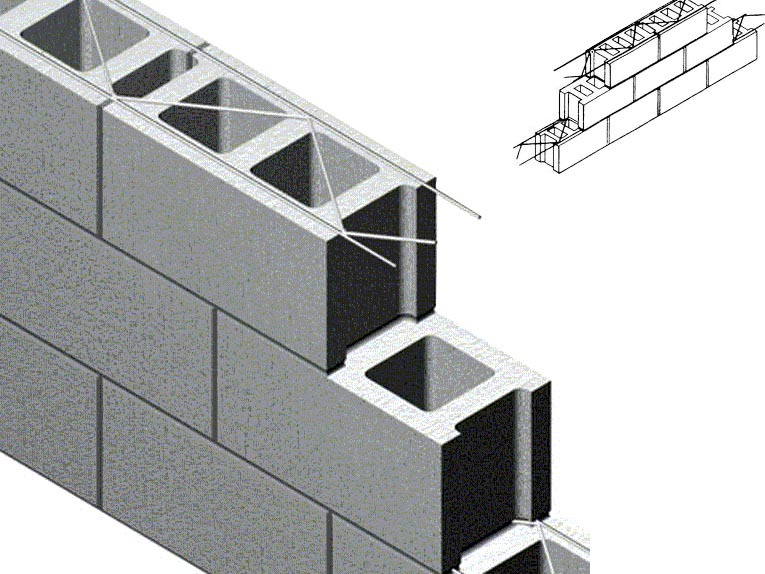 Stem walls provide superior strength and allow for maximum compaction for the fill dirt. Why don't other builders use Zip roof and wall boards? 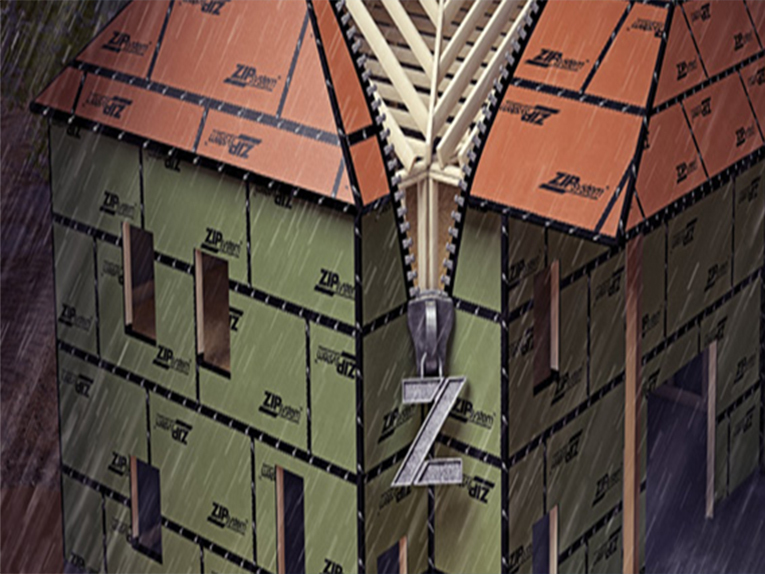 The Zip System is simply the best sheathing available and is another layer of water protection. We know custom home design, we have the highest quality available and we pay meticulous attention to the details. Just ask our subcontractors and satisfied homeowners about the pride we take in the construction our custom homes. Where is your company located? Where do you build custom homes? We are located in FishHawk/Lithia and build in Hillsborough, Pasco, Manatee, and Polk County. Choosing the right custom home builder is an important decision. If you look closely, you'll find our designs are unlimited, our construction quality is unrivaled, our finishing materials are chosen from the best products available, and our pricing is very competitive. 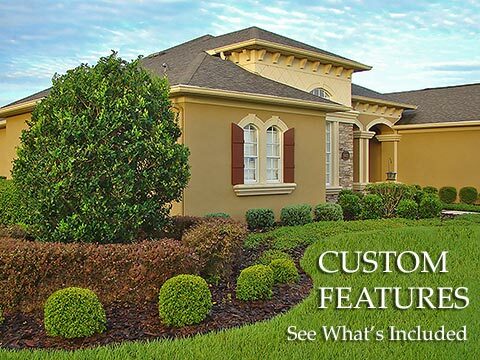 Everything you need to move into your new custom home is included in our impressive list of custom features. Well, septic, impact fees, plans and engineering along with some of the highest quality finish products on the market. 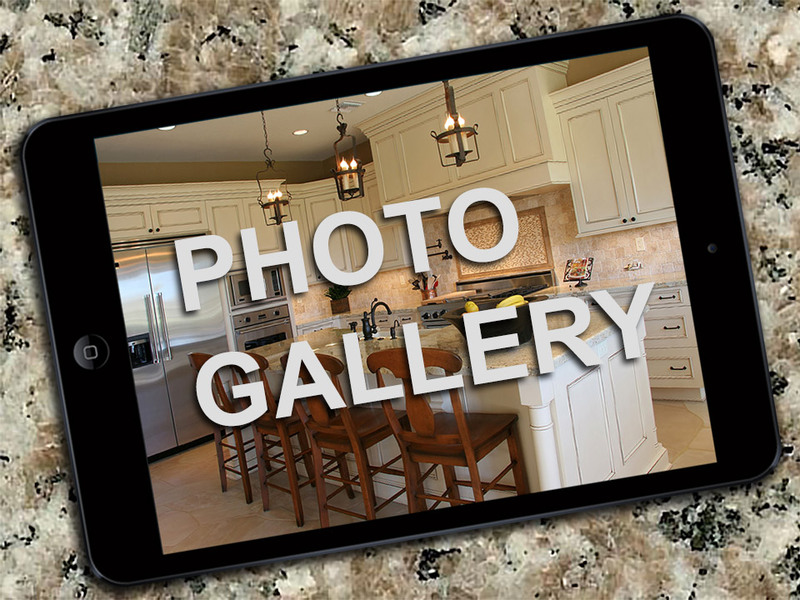 Portfolio Select cabinets, 50+ ounce carpet, high quality porcelain tile and more. Two of the most important things that we strive to achieve as a custom home builder are quality construction and customer satisfaction. It brings us much enjoyment to see our clients happy and enjoying their new home. 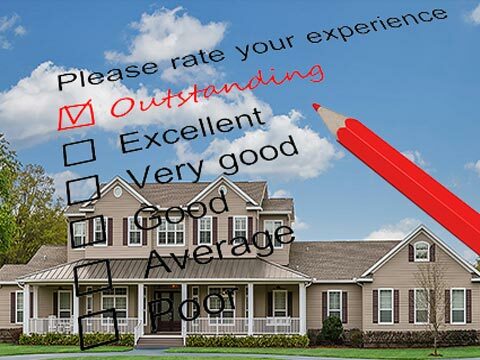 See what some of our customers have to say about us. Southern & Traditional Homes builds a large variety of homes. We build Traditional, Mediterranean, Craftsman, Country, Transitional styles and more. Our homes range from 2,500 square feet to over 8,000 square feet and begin in the $300k range. 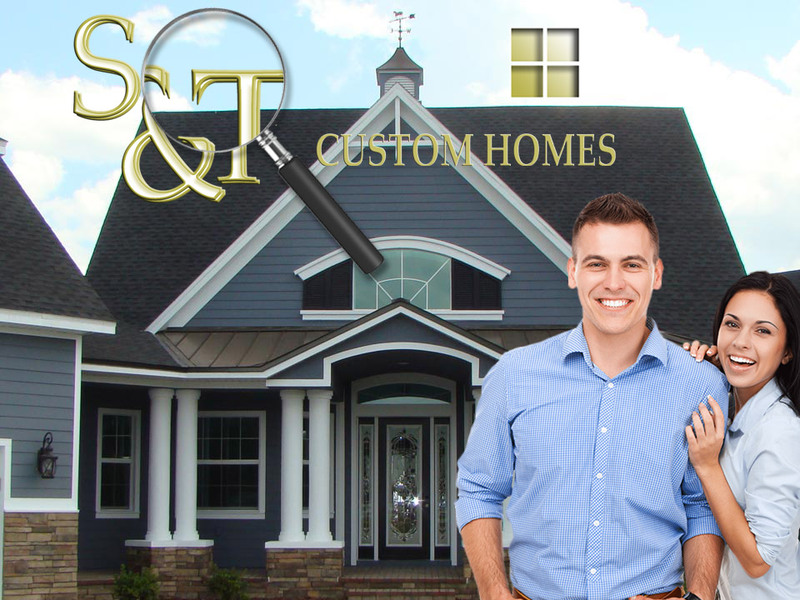 For additional questions regarding our Custom Home Builder practices please call 813-267-2995. Located in Lithia/FishHawk, serving the Tampa Bay region including Hillsborough, Pasco, Polk County, Florida.